Dr. Casciello earned his undergraduate degree in Biological Sciences from the University of Virginia and his medical degree from the F. Edward Hebert School of Medicine Uniformed Services University of the Health Sciences in Bethesda, MD. He completed an internship and residency at the Wright-Patterson Medical Center in Dayton, OH and a fellowship in Adult Invasive Cardiology at the San Antonio Uniformed Service Health Education Consortium Wilford Hall Medical Center in San Antonio, TX. 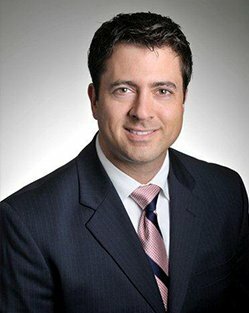 Dr. Casciello specializes in Invasive Cardiology with special interest in diagnostic cardiac catheterization, PFO closure, permanent pacemaker implantation and all device follow up, TEE, Nuclear Cardiology, preventative cardiology and additional interest in CHF/LVAD management programs, cardiac CT, and adult congenital heart disease. He is board certified and accepting new patients.